This program was created for those, who don´t have much time and would love to explore beautiful Peru. 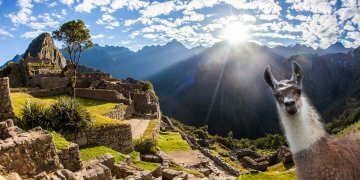 That is why within 8 days you can find busy and always exiting Lima, historical Cusco and surroundings with its enormous amount of monuments and magnificent Machu Picchu. ITEP Travel was founded with nothing more than a strong desire to create an authentic travel agency, embodying by a sustainable way the rich diversity of tradition, adventure and mystery that makes Perú such a fascinating country to visit, Our travel agency was born in Cusco, Perú land of the Incas, and will always remain the closest possible and more faithful to local communities and Peruvian culture without compromises; on the contrary, we try to celebrate and share the fantastic heritage of our great nation on every given occasion.